We at Automotive Service Parts formerly Eugene Service Parts and Fortuna Distributing are an independently owned auto parts warehouse distributor located in Eugene Oregon, and Medford Oregon. We have been in business since 1974 serving the independent Jobbers, Professional Installers, Fleets, Farms, Government and the do-it-yourself mechanics for more than 30 years. Our knowledgeable and dedicated staff is committed to doing the best job possible for you our customer. Our current customers tell us that our staff combined with our extensive on hand auto parts inventory and excellent service sets us apart from our competitors. 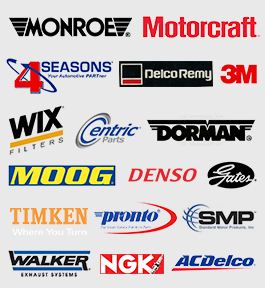 Our inventory includes auto parts for cars, trucks from 1950 thru current years. And if we do not have it, we can get it and most times next day and freight free. We are a proud member of The National Pronto Association, an organization of independent warehouse distributors. Our mission is the success and satisfaction of our customers by providing quality automotive products combined with superior service.